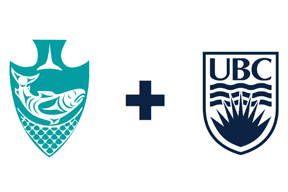 The UBC Vancouver campus is located on the traditional, ancestral, and unceded territory of the Musqueam people. 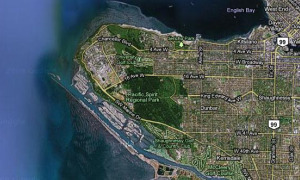 The land it is situated on has always been a place of learning for the Musqueam people, who for millennia have passed on their culture, history, and traditions from one generation to the next on this site. It is common at UBC events to begin with an acknowledgement of Musqueam territory. Why? 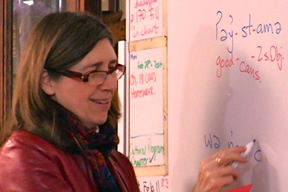 Watch this short video of Linc Kesler, professor in First Nations and Indigenous Studies and former director of the UBC First Nations House of Learning, to learn more. The Musqueam Indian Band and the University of British Columbia have a long history of partnership. This was strengthened in December 2006 with the signing of a historic memorandum of affiliation. As a result, a number of initiatives between the University and the Musqueam Indian Band have resulted. 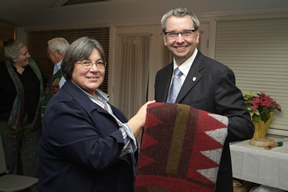 In 2006, Musqueam and UBC formalized relations with the signing of the Memorandum of Affiliation. Bridge Through Sport is a partnership between UBC and the Musqueam Indian Band offering a range of programs, including a yearly summer soccer tournament. Musqueam 101 is a weekly non-credit university-level seminar held at Musqueam. 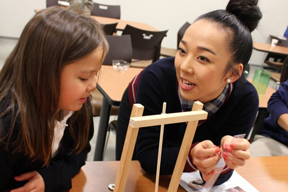 hən̓q̓əmin̓əm̓ is a credit Musqueam language course co-developed by the First Nations and Endangered Languages Program and the Musqueam Indian Band. This report by Aaron Lao discusses the principles and procedures that UBC faculty and staff should consider when contemplating relations with the Musqueam Indian Band.